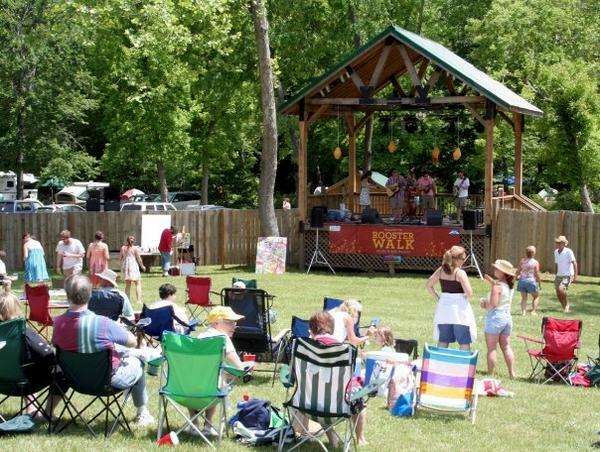 The 5th annual Rooster Walk Music & Arts Festival is set to go down once again in Martinsville, VA over Memorial Day weekend in the scenic rolling foothills of the Blue Ridge Mountains. The festival will take place at the Blue Mountain Festival Grounds and this year’s lineup is headlined by a couple of LMB favorites: Leftover Salmon and Ivan Neville’s Dumpstaphunk. The Colorado jamgrassers and incendiary NOLA funk outfit will be joined by other must-see live acts like Sister Sparrow and the Dirty Birds, Kung Fu, Yarn, Space Capone, Larry Keel & Sammy Shelor and more. In total, more than 35 bands will perform during the weekend. Check out more info on the festival below. The addition of Leftover Salmon and Dumpstaphunk significantly enhances what was already one of the strongest band lineups in the festival’s five-year history. Popular rock/alt-country band Yarn (Brooklyn, N.Y.) will perform two nights at RW5, in addition to: Dangermuffin (roots rock, Charleston, S.C.); Kung Fu (funk fusion, New Haven, CT); Larry Keel & Sammy Shelor (bluegrass, Virginia); Sister Sparrow & the Dirty Birds (funk, Brooklyn, N.Y.); Josh Panda & the Hot Damned (soul/R&B, Burlington, Vt.; Sanctum Sully (progressive bluegrass, Asheville, N.C.); the Lizzy Ross Band (rock, Chapel Hill, N.C.); Mandolin Orange (Americana, Chapel Hill, N.C.); the Kings of Belmont (rock/jam, Charlottesville, Va.); the Floorboards (rock/alt-country, Roanoke); the Stickley Brothers (progressive bluegrass, Asheville, N.C.); L Shape Lot (rock/honky tonk, Wilmington N.C.); Dave Eggar with Amber Rubarth and Deoro (progressive jazz/Americana, Brooklyn N.Y.); Common Foundation (ska/reggae, Asheville, N.C.); Big Fat Gap (bluegrass, Chapel Hill, N.C.); Justin Johnson (slide blues/cigar box guitar, Chapel Hill, N.C.);, Empire Strike Brass marching band (brass band, Asheville, N.C.); and Boy Named Banjo (roots rock/Americana, Nashville, Tenn.). Rooster Walk Inc. is a 501c3 nonprofit dedicated to bringing music, arts, culture and educational opportunities to the area while supporting various charitable causes, included the Penn-Shank Memorial Scholarship Fund at Martinsville High School. The festival was created in memory of two late Martinsville natives, Edwin “the Rooster” Penn and Walker Shank. It has successfully raised over $20,000 so far over the course of its four festivals. The festival continues to gain momentum, and was recently named the “Best Underground Festival” in the Southeast and Mid-Atlantic by Blue Ridge Outdoor Magazine, as well as the “Most Creative Charitable Event” in Southwestern Virginia by Virginia Living Magazine. 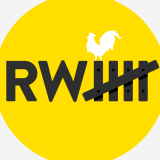 Aside from all the talented musical acts that will be taking the stage over the course of three days, Rooster Walk 5 will offer a multitude of entertaining activities and events for fans to enjoy. This year will include a free mobile disc golf course presented by Explore Disc Golf. If you’re looking to get off your feet after a long day of musical enjoyment, you can venture over to “ENO Island” and relax in outdoor hammocks, as well as try out other outdoor gear put on by Eagle’s Nest Outfitters. For the savvy arts and crafts aficionados, there will be an area to take advantage of their skills in the scenic backdrop of the venue. The festival will feature educational workshop performances throughout the weekend. There will also be an area for children to take part in a number of activities. A silent auction is set to take place where fans can bid on numerous items, including a customized Rooster Walk 5 Stratocaster guitar with all proceeds going towards their fundraiser. Title sponsor Bassett Furniture is the presenting sponsor for Rooster Walk 5. Camping is available on site, and the festival will partner with Activate Martinsville/Henry County and the YMCA to put on the Tuff Strutter 5K, billed as one of the toughest 5K trail runs on the East Coast, on May 26th within the festival venue. Other presenting sponsors include The Lester Group, Frith Construction and Miller Lite.